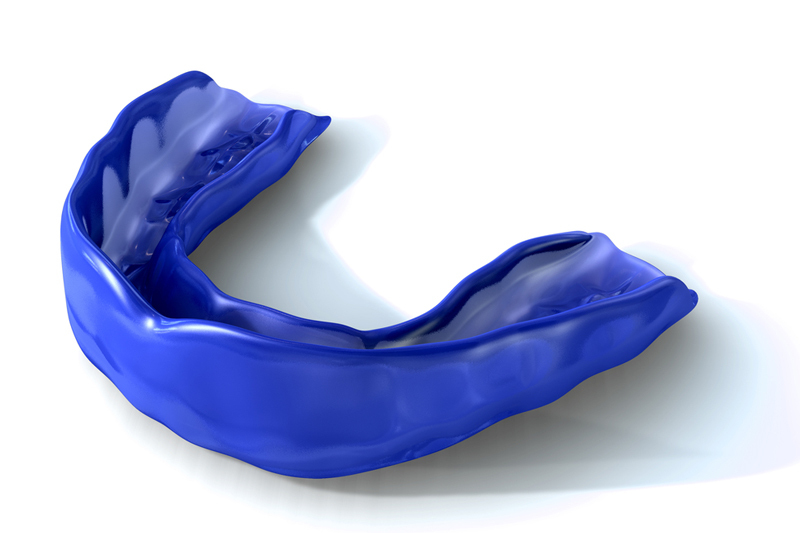 "Free custom sports mouthguard for new patient"
Why should a sports mouthguard be worn? The cost to treat an avulsed (lost) tooth over a lifetime is between $5000 and $20,000. According to Sports Health. 2015 May; 7(3): 250–255. issue there are "approximately 30 million children and adolescents involved in sports annually in the United States, the impact of dental injuries can be significant. Greater than 5 million teeth are avulsed (lost) in the United States every year, accruing nearly $500 million in cost for care. Who should wear a sports mouthguard? Anyone participating in a sport with the possibility of sustaining an injury to teeth, the mouth and with the potential risk of incurring a concussion would benefit from the use of a properly fitted mouthguard. The American Academy of Pediatric Dentistry, The American Dental Association and the Academy of Sports Dentistry all strongly recommend wearing a mouthguard for all children and youth participating in any organized sports activities. All these groups of organized dentistry believe that custom fitted mouthguards fabricated over a dental cast of the child's teeth will give the best fit. In our office our sports mouthguards are custom made for your child and for the specific sport they are playing in order to provide maximum protection. Speech, occlusion (bite) and eruption of teeth are all taken into consideration in the fabrication of your child's sports mouthguard. Our goal is to minimize the risk and or prevent dental and concussion injury risk. Over the counter, one size fits all store bought mouthgaurds cannot meet the individual requirements of each child or the specific sport. How do we make your child's mouthguard? At the first appointment we do a simple evaluation, does your child have cavities, loose teeth that need to be taken into consideration. Impressions of their upper teeth are taken from which custom models are fabricated. The sports mouthguard is made from your child's models assuring they will be a perfect fit and protective. A second appointment is given within a couple of days. At this visit we make certain your child's mouthguard is properly fitted, check the bite to make certain it is balanced before allowing it to be used. Our sports mouthguards are made just like the one's professional athletes wear. Your child's mouthguard will be good for one season and made for the specific sport they are playing. What does it cost to have a custom sports mouthguard made? Professional athletes pay hundreds of dollars for a mouthguard. We are committed to caring for the children in our community. The fee for a custom made mouthguard is $25.00 for non-patients of the practice. The fee for patients of the practice the mouthguard is provided at no-charge.